So you have a network issue. Or perhaps you don't, but you need to help find the root cause of a performance issue and conclusively show that it's not network related. In either case, packet analysis is your friend. A network tap is the best solution when absolute precision is required. However, this can be impractical and is often overkill. This is where port mirroring comes into play. Cisco gear provides a number of ways to mirror traffic from a specified source (or sources) and get frames from point A to point B for analysis. 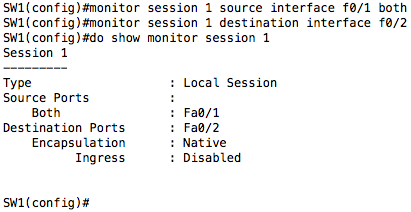 SPAN (switched port analyzer) is Cisco's implementation of port mirroring. It is used to mirror traffic from a switch to a destination interface on the same switch. However, SPAN allows us to do much more than just mirror a single port. Start a "monitor session" to mirror data from a specified source. Specify a session number. This is locally significant. Define a source. On most platforms, this can be a single interface, multiple interfaces, port-channel, port-channel member interface, source VLAN, or multiple source VLANs. On higher end platforms you can also select the CPU as the SPAN source. This can be extremely useful for troubleshooting high CPU issues. Specify whether or not you want to mirror ingress traffic, egress traffic, or both. Start a "monitor session" to mirror data to the destination. Specify the session number that corresponds to the source session. Optionally, select encapsulation or ingress options. Encapsulation options are dot1q, isl, or replicate (platform dependent). Generally you would choose "replicate" to replicate the encapsulation of the source interface if you need to see tagged traffic or L2 control traffic such as CDP, STP BPDUs, VTP, DTP, etc. Ingress options are dot1q, isl, untagged, or vlan (platform dependent). Generally you would use "vlan" to place untagged ingress traffic from your monitor destination into the specified VLAN. This allows monitor devices connected to the switch with a single NIC to send and receive traffic through the monitor destination port while receiving monitor destination traffic. Mirror f0/1 ingress and egress traffic to f0/2 (basic port mirroring). Mirror vlan 10 ingress and egress traffic to f0/1 and f0/2. Mirror port-channel 1 egress traffic to f0/3 preserving encapsulation of mirrored traffic. Mirror f0/1 ingress and egress traffic as well as f0/2 ingress traffic to f0/3. Preserve encapsulation of mirrored traffic. Allow untagged ingress traffic from the destination port and place it in VLAN 8. You can't mix a source port and a source VLAN. SPAN config temporarily overrides all config on a port. When the monitor session is removed, the original config becomes active again. Be careful not to overload your destination port. You could do this very easily mirroring an entire VLAN to a destination port. Ingress SPAN traffic (RX) shows all frames as they are received, prior to undergoing any changes by VACLs, QoS, etc. Egress SPAN traffic (TX) shows all frames as they are sent after undergoing all changes by VACLs, QoS, etc. It is also important to note the ingress parameter does NOT work on a number of platforms (Catalyst 2940, 2950, 2955, 2970, 3550 and 3750). The switch will accept the config but reject the ingress traffic. 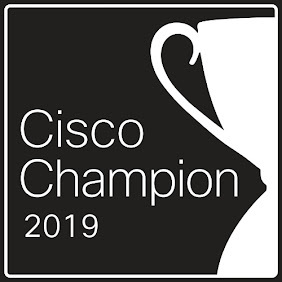 This is not properly documented in a number of Cisco references. So that's the basics of SPAN on Cisco Catalyst switches. As always, it is best to reference platform specific documentation for your particular use case. However, what if your use case involves mirroring traffic to an interface on a switch other than the switch you are capturing on? That's where RSPAN (remote SPAN) and ERSPAN (encapsulated remote SPAN) come into play. I will be covering these in another blog post.